On a recent trip to Sobey's in the west end of Edmonton in an effort to fill my cart with foods that would help get me to the $75 mark in order to get the 75 bonus air miles (yes I am a sucker for these deals and try to cash in on them whenever possible). I was just shy of reaching my $75 and I didn't really want to purchase anything that wouldn't be used or wasn't actually needed or useful to our family just for the sake of getting the air miles. 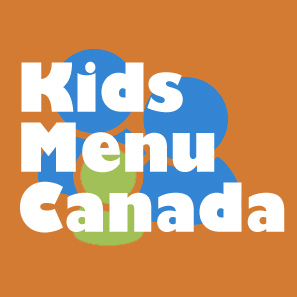 I like my air miles, but I do not like to throw money away or waste food. First I was in the gluten free section located near the front of this particular store. Beside the gluten free section is a small Kosher section (there's also Kosher meat located in the meat department in this store for those who didn't know this already. 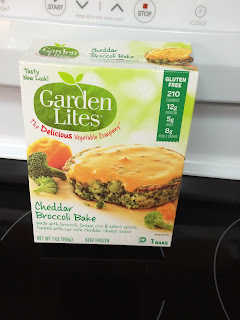 I was pleased to find that they had one of my old favorites Garden Lites in Broccoli & Cheese, The company also makes a variety of other products that are gluten free and kosher. They are all basically a single serving meal or addition to a meal. This one is my long time favorite. I hardly ever buy these types of things anymore, but as I said I needed to get those air miles, right. I think this item costs about $5 but I truly cannot remember. I enjoyed it for lunch that very same day, though I will share that my little one ate most of it and she loved it. I was later walking through the bakery section, which you would think would not be where you would likely find a gluten free shopper. However, I was in search of the Our Compliments bread as I have not yet tried it. It seems that every time to go looking for it, they are always out. When I turned around I saw this new product on the shelf that caught my attention. I admit it mostly caught my attention because it was only $2.99. The product is called Broghies. I would describe these as puffed corn shaped similarly to a pita or shell. They are so light and filled with air. 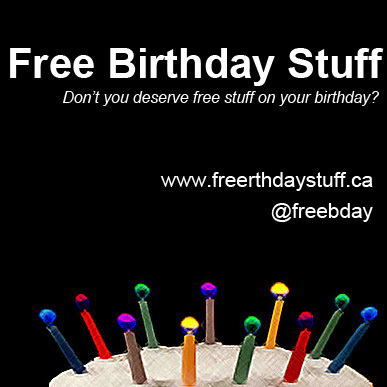 The company is a Canadian company and who doesn't like to support fellow Canadians? Right. 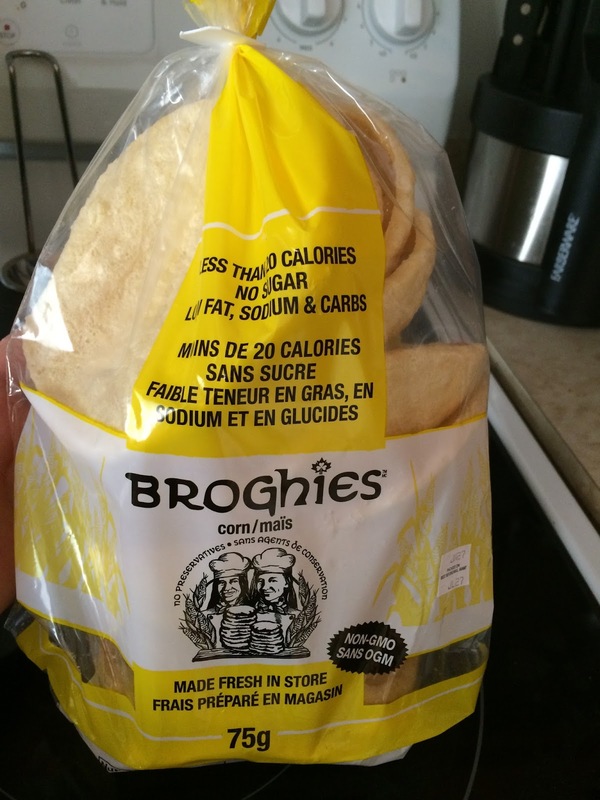 This product does not say Gluten Free on the package and I know that the only ingredients listed are corn flour, masa (corn) and salt. These make a nice light snack and have a great crunch that makes them great when you are looking for just a little something to tide you over.